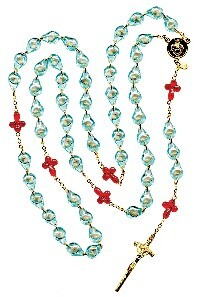 (SPANISH) Large, 5-decade Rosary of the Unborn w/paper booklet. 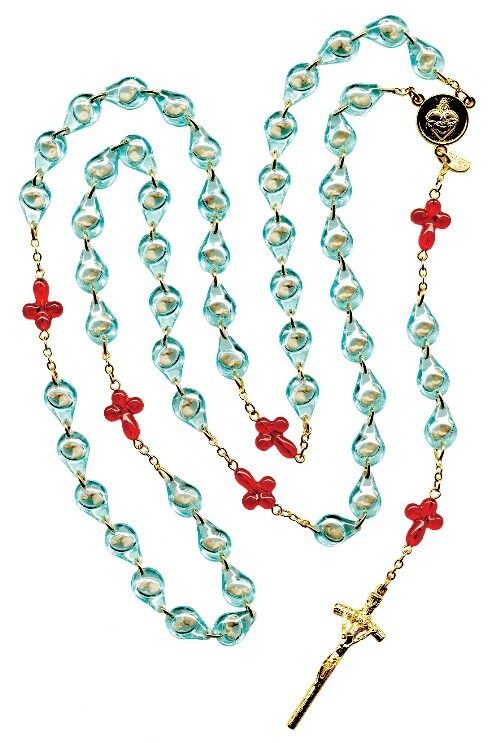 The Rosary of the Unborn was given to us by Our Lady for all to unite in prayer to bring an end to abortion. 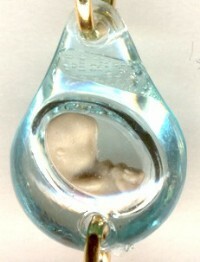 Light blue Hail Mary teardrop beads hold an image of tiny unborn baby. Dark red Our Father beads are in the shape of a cross. Centerpiece features the image of the United Hearts of Jesus and Mary. Papal crucifix. Packaged with free PAPER booklet: Nuestra Senora da al Mundo el Rosario de los No Nacidos (Our Lady Gives the World the Rosary of the Unborn).